Do you see it? It’s a little left of six o’clock. There – right there! It’s a Chukar Cherries Raspberry Truffle, sliced in half, and added to one of my favorite GRANOLA recipes. 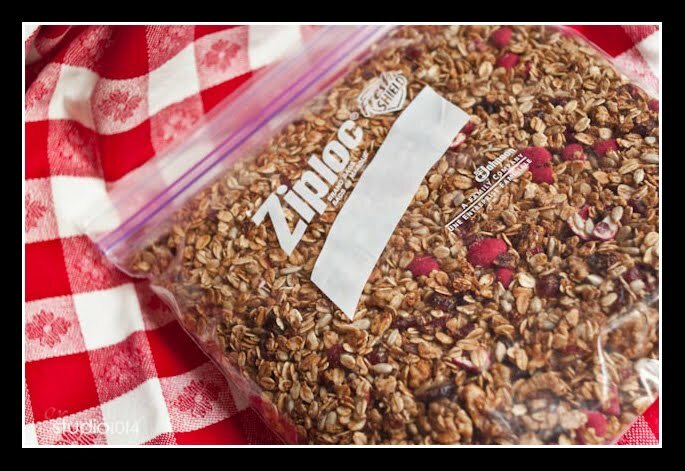 The granola pictured is adapted from Sunny Anderson’s Happy Trails Granola. You can find her recipe on the Food Network website here. The golden tag attached to my glass of granola was originally attached to a large bag of raspberry truffles. 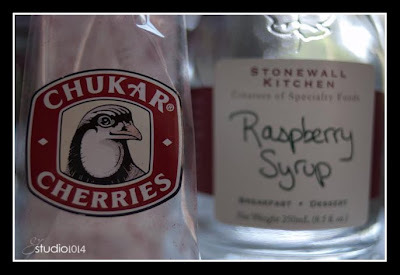 Imagine a dried cranberry, enrobed in white chocolate, and dusted with tangy raspberry powder. 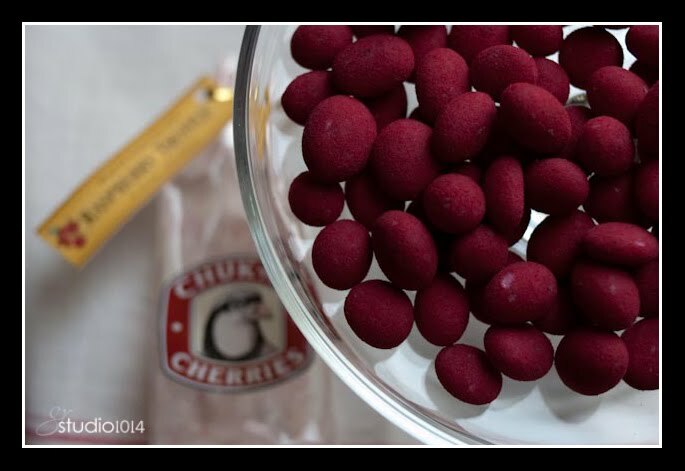 The smoothness of the white chocolate combines with the chewiness of the dried cranberry to create a delicious marriage on your tongue, then, when least expected, a tartness invades the party from the raspberry powder. 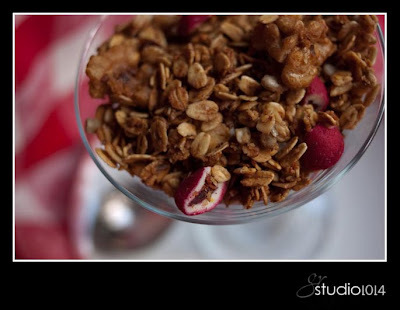 The truth is, I ate most of the truffles, but did manage to save the last few to add to this granola. 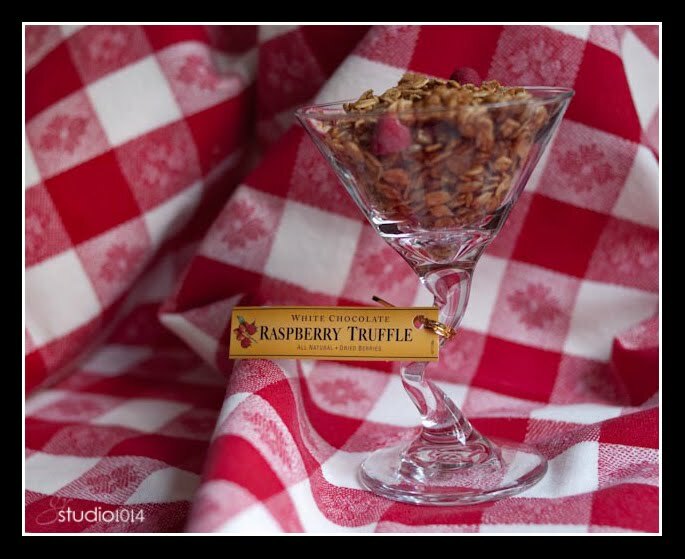 Modifying the original granola recipe, I added raspberry syrup in place of the maple syrup, and I added the raspberry truffles in place of the MMs. 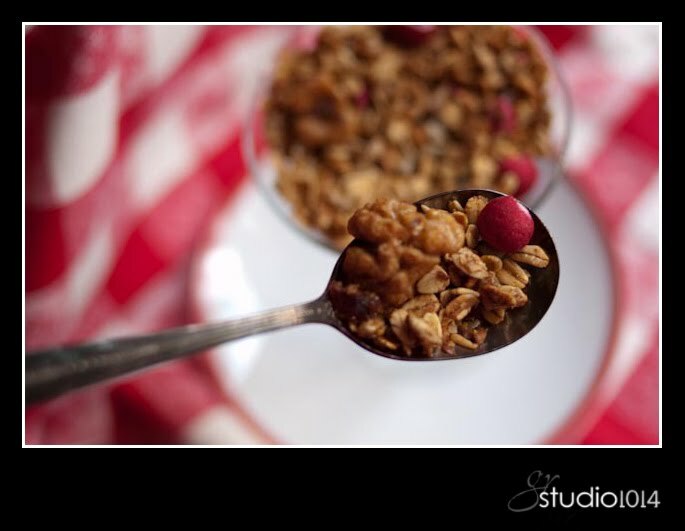 I’m sad to say that the raspberry syrup did not add any flavor to the granola; however, the chopped truffle pieces added a tiny bit of tartness/sweetness to various bites of the granola. I will double the quantity of truffle pieces in the next batch of granola. empty containers must mean something is baking! This entry was posted in Chukar Cherries, granola, raspberry dusted granola by galereeves. Bookmark the permalink.